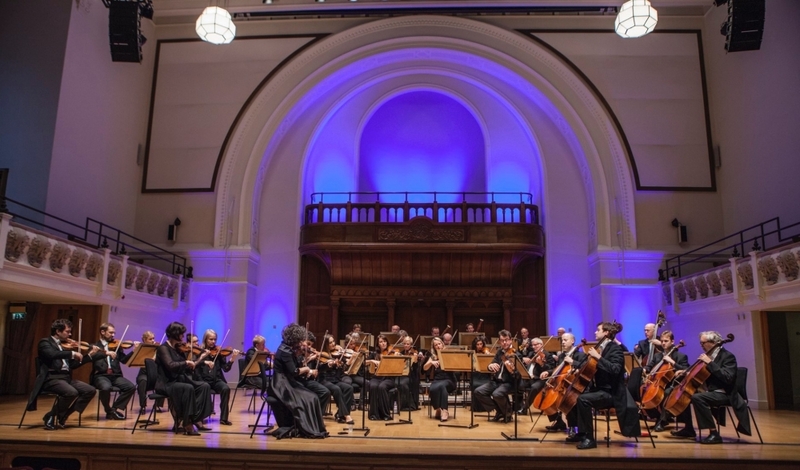 The English Chamber Orchestra is pairing the well-known with the lesser known in its concert Christmas with Vivaldi at the Cadogan Hall on 2 December 2018. 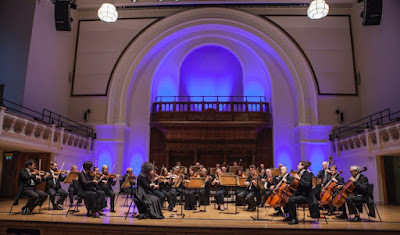 Whilst the programme includes Vivaldi's Gloria (with the Choir of the 21st Century and City Music Foundation Artists, Raphaela Papadakis and Lotte Betts-Dean) and Winter from The Four Seasons, there is also a chance to hear the Concerto for violin in E flat Major 'La Tempesta di Mare', the Concerto for Violin and Cello in B flat major and the Flute Concerto 'Il cardellino' [the Goldfinch]. The conductor is Michael Collins and the soloists are all drawn from the orchestra's principals, leader Stephanie Gonley, cello Caroline Dale and flute Harry Winstanley. Rather confusingly the sub-title 'La Tempesta di Mare', the storm at sea, crops up more than once in Vivaldi's output, it is used for a group of three related flute concertos, and also for a violin concerto (unrelated to these), and it is this latter violin concerto that ECO is performing, it comes from Il cimento dell'armonia e dell'inventione, Vivaldi's publication of 1725 which also included the four violin concertos known as The Four Seasons.Vivaldi's flute concerto Il cardellino comes from the same Op.10 publication, from 1728, which included the final version of the flute concerto La Tempesta di Mare. Confused? Don't worry, simply go along and listen to the music, be amazed at Vivaldi's sheer invention, he certainly didn't write the same concerto every time! Further ahead, flautist Ana de la Vega joins the orchestra on 19 February 2019 at Cadogan Hall for the recently re-discovered Flute Concerto by Josef Myslivecek, a Czech contemporary of, friend of and great influence on Mozart. Ana de la Vega has just recorded the concerto with the ECO. And the concert will also include music by Mozart, Tchaikovsky and Grieg. Then on 16 March 2019, the talented young French horn player Ben Goldscheider [see my interview with Ben] and tenor Ben Johnson join Jessica Cottis and the orchestra for Britten's Serenade for Tenor, Horn and Strings, along with music by Ravel and Stravinsky, plus Britten's realisations of Purcell songs. Full details from the English Chamber Orchestra's website.